With the rise of social media and increased digital marketing efforts, consumers have become inundated with advertisements and brand messages. It can become difficult for consumers to connect with a specific brand. A study by Microsoft Corporation announced that the average human attention span has decreased to 8 seconds, which is officially shorter than that of a goldfish. Connecting with your customers on a deeper level is now more important than ever. Are you wondering how your brand can stand out in a world filled with digital advertisements? The solution is simple: Leverage people-based marketing data to create and promote content that will enhance your user’s experience. Here are 3 ways the utilization of people-based marketing data allows you to understand your users and enhance their user experience. It all starts with getting your potential customer’s attention. People-based marketing data can be used to identify what kind of advertising your audience responds to most. She gets home from work and decides to browse Facebook to unwind after a long day. After a few minutes of catching up on her friends’ posts, she is presented with an advertisement. The ad is a static image of a woman putting on makeup in front of a mirror. The advertisement encourages the buyer to “explore our website.” While visually appealing, she decides to leave the impersonal ad and continue to scroll down her feed. Almost instantaneously, another ad appears on the woman’s newsfeed. While this ad also promotes a makeup brand, it features a short video instead of a static image. The video tells the story of a woman applying makeup in her bathroom followed by her getting dressed and going out for the night. The words “be your best self” scroll across the screen. Captivated by the feeling this more personalized ad provides, the user immediately clicks on the website link to find out more and potentially buy the product. As marketers, we must recognize that consumer habits have revolutionized with the emergence of digital. With people-based marketing data, marketers can understand a user’s media preferences and digital behavior. How content is presented to a potential buyer can have a monumental impact on the number of impressions and conversions that a company receives. By following the digital behavior of your target audience, you can deliver relevant marketing campaigns and reach your ideal customers on the most effective digital platforms. Distinctive ad campaigns will help you connect with your audience on a deeper level. Advertising is not about flooding your consumers with information; it’s about understanding your users in order to create a personalized experience for them. With people-based marketing data, you can reach your users where and how they want to be reached. Once a user is on your site, you can leverage people-based marketing data to understand who they are and what they are most interested in. The focus of people-based marketing is to create a more personalized experience for your users. If you use your data to create buyer personas, you can tailor your site’s messaging, design and experience to your audience’s interests. With access to a multitude of consumer data, you can ensure that your ideal customer has a meaningful and engaging experience on your website. The more engaging a website is, the longer a user will hang around to discover what your company has to offer. With people-based marketing data, you can create a custom experience for your ideal target audience. A customized site guarantees that relevant content is presented in an effective and timely manner. An engaging user experience will positively define your brand’s identity and drive customer conversions. Through the utilization of people-based marketing data, your brand is able to successfully convert a lead into a customer. However, your task is not over. The most important part of marketing is continuing the conversation and building a relationship with your users. Whether through social media shares, exclusive offers to existing customers, or check-in emails, maintaining a strong relationship with your customers will help to fuel your business and brand identity. The rise of mobile gives marketers the ability to understand today’s on-the-go users. Getting a first hand look at a potential buyer’s mobile behavior will allow your company to communicate with your audience in real time and successfully continue the conversation. This mobile device data gives you access to your customers’ apps, the most effective times to promote advertisements, and trends that specific demographics follow. This valuable data certifies that all content is distributed with the purpose of keeping your target audience engaged throughout their personalized buyer’s journey. If marketers utilize PBM data to understand their consumers on a deeper level, products can be integrated seamlessly into everyday life. Implementing an effective people-based marketing strategy will help reinforce your brand’s identity as well as strengthen your connection with your audience. 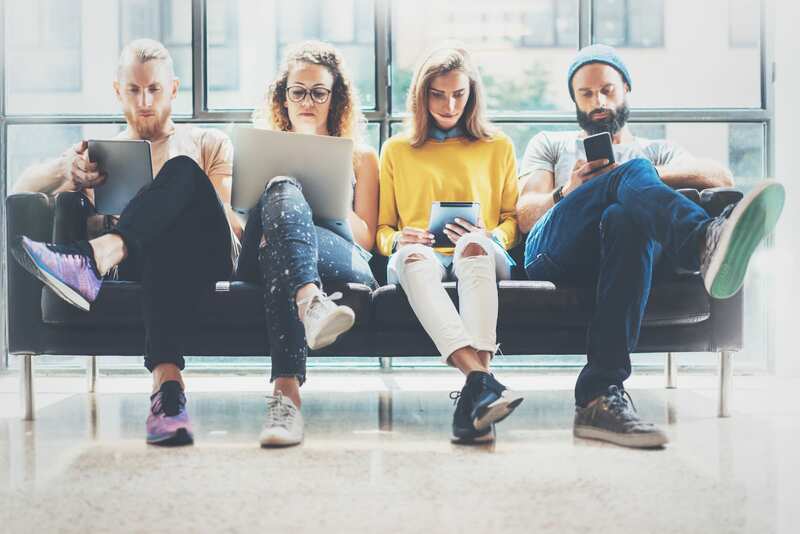 With marketers’ extensive access to data and consumers’ power over their media consumption, people-based marketing is beneficial for a connected marketing strategy across all platforms. The combination of traditional offline, online and mobile data allows for a rich understanding of consumers like never before. The key is to speak to the people, not the data points. 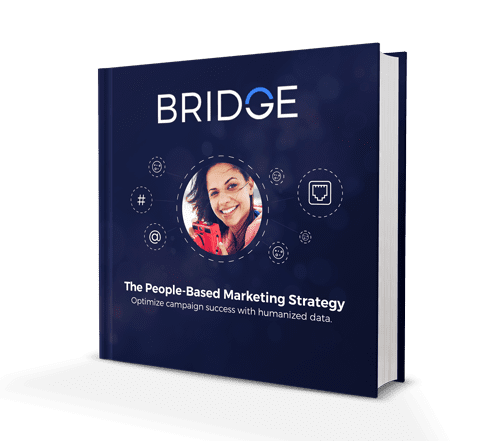 If you understand how to optimize this humanized approach to data and build customized campaigns based on your ideal consumers, you can truly reap the benefits of a people-based marketing campaign.